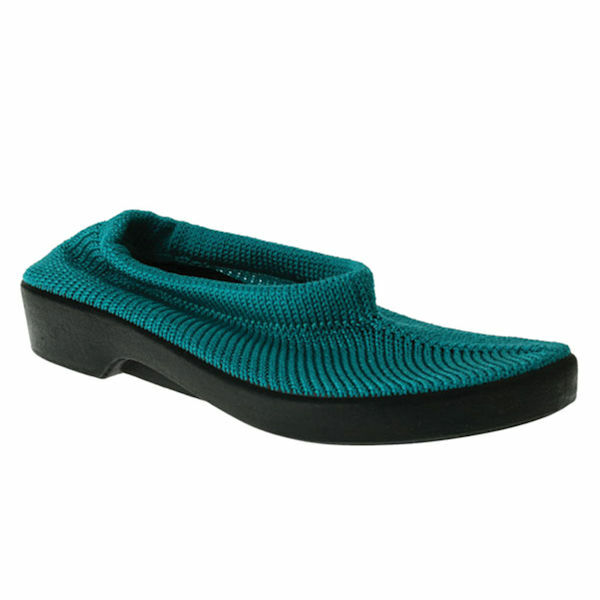 The shoe that gently hugs your feet. 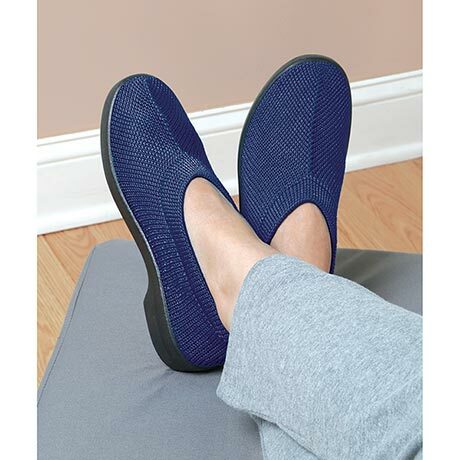 Enjoy European style and craftsmanship with these super stretchy, yet comfortably supportive slip-ons. Constructed from a naturally soft, breathable material that gently hugs for a personalized fit. 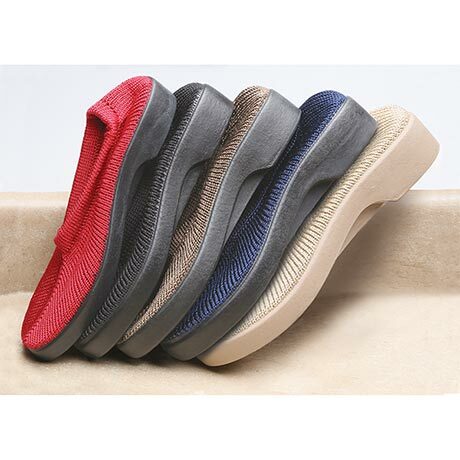 Removable, lightweight polyurethane foam insoles cradle and cushion your feet with every step. Durable, flexible polyurethane outsoles allow you to walk confidently, regardless of the weather. Machine wash. Imported. European sizes 36 (American 5.5-6), 37(6.5-7), 38(7.5-8), 39(8.5), 40(9), 41(9.5-10), 42(10.5-11). 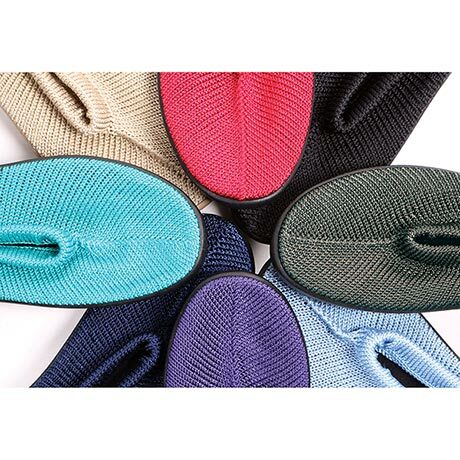 Specify Red, Black, Gray, Light Blue, Purple, Navy, Turquoise, or Beige. Item can only be shipped within the Continental US.